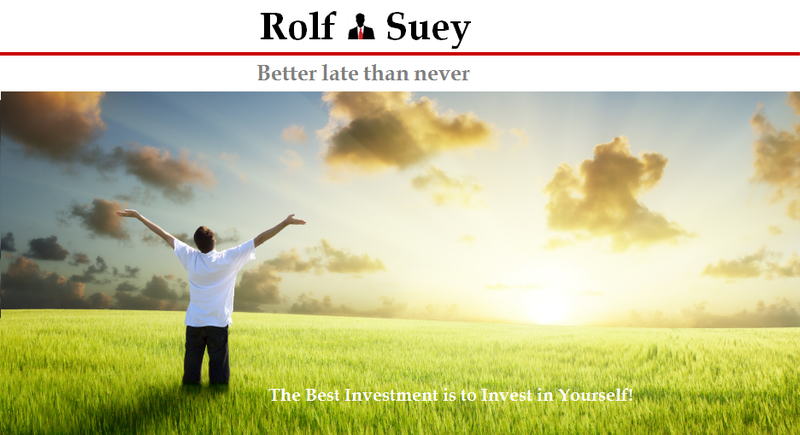 Rolf Suey - Better Late Than Never: Bought DBS and OCBC today! How I hedge my bets! Bought in few hundred shares each of DBS@14.19 & OCBC@7.84 today. Don’t get me wrong, I still have lots of faith about Singapore banks in the long term, but just that I am not too sure if taking a long time view now about our banks NOW is the correct timing. Ok, Warren Buffett says you cannot time the market. Duh L! Read : Is this a right time to buy: DBS, OCBC, UOB or Keppel and Sembcorp? Well, in case my speculation is wrong and markets are to tank further down, and my bank stocks tumbles in tandem, then the second layer of safety for me is not overly committed in this purchase with reference to my entire position. And yet still in a manner, which I am still comfortable to average down later. When? I left this difficult question for you to ponder for yourself. The thing about investing is you are never certain to be right all the times even if you are value investors Warren Buffett and Peter Lynch, or famous hedge fund managers George Soros and Ray Dalio. The most important thing for average investor like me is to be right for most of the time. Perhaps 7 out of 10 is great, or even 6 out of 10 is good. 8 out of 10 is definitely a bonus. And even if I am wrong, I should already have a prior strategy what should I do next. The whole idea is to be in control in your positions and emotions, despite the violent swings in the market. Nice, another great sale today with China tanking another 6%. I expect to inject considerable amount of fresh fund after my bonus in March, and I hope STI stay low till then :-). I really don't mind buying below 2500.
oh no... how come no rebound? €£>&£#%!!! I was so busy in work today and miss out on the China tanking news today. Anyway, I hope u manage to pick up some value for money sale items that are most suitable for u! More nibbling now and implementing strategies. It is definitely easier this way, than to be caught in an unexpected situation like what happened in the start of the year now. I am extremely thankful to be able to enjoy a reasonably good position now despite the downturn. I see the same for you. God bless! Thanks for sharing. Always think DBS below $16 is a good buy. But i didnt go in this round. Have this niggling fear that there will be some non-performing loan bad news waiting to come out. I may miss the boat, i know. but that's life, right? U r welcome and thanks for reading. I am align as u wrt the NPL. It is not just brewing but already happened, as I already know having work in the industry that suffers since past one year. Nonetheless, you can never be VERY right! Since the market n the world today is so crazily unpredictable. Therefore, you need to hedge against your wrong (in the other direction) so that in case u r wrong, ur action still can be suitable for "all weathers!" But manage your hedging bets to reasonable amt. I bought few hundred shares each for the two banks only. Now DBS is below $14! haha... what you think?